What is wrinkle relaxer therapy? Wrinkle relaxers utilise a natural substance formed by a bacterium called Clostridium Botulinum, which acts to weaken or “stun” muscles and thus prevent their movement. It has been used for medical conditions since the 1950’s, especially in ophthalmology to correct twitching eyes. 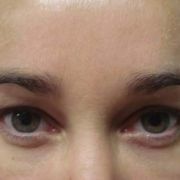 An interesting effect noted during such procedures was the improvement in lines around the eyes. In 1992 its cosmetic use for the treatment of facial lines was acknowledged and since then millions of people around the world have undergone wrinkle relaxer therapy. In nature the toxin can be found in large and unpurified quantities which causes a type of food poisoning called botulism. This is not the type of toxin used in cosmetic treatments. The cosmetic version is purified in the laboratory to be safer and requires amounts 600 times less than would be needed to cause serious illness for it to be effective against wrinkles. This makes it less toxic than paracetomol. Children as young as two years old use 200 times the cosmetic dose to relax muscles in cerebral palsy. Consequently, the treatment is one of the safest medical procedures performed. Furthermore there have been no allergic reactions reported in its cosmetic use and adverse reactions generally resolve completely in time. There are 3 TGA registered wrinkle relaxer products in Australia that have passed the stringent safety and effectivity criteria. All staff at ARGERA receive wrinkle relaxer therapy and the doctor has been having treatments since 1999 without any serious adverse effects. She uses it as a preventative technique for aging. 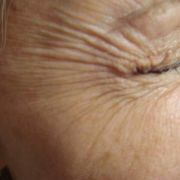 Wrinkle relaxers have not been studied in pregnant or breast-feeding women and hence are not recommended for these groups. 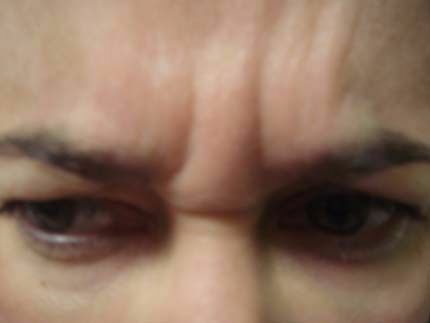 Are there any side effects with wrinkle relaxers? 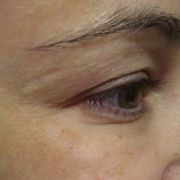 Wrinkle relaxer reatment generally takes less than 15 minutes with minimal discomfort. The physician examines the lines to be treated and then proceeds to inject them with a fine needle. The patient experiences a slight stinging at the time. Should the patient be particularly worried about this an anaesthetic cream can be applied beforehand. This is rarely needed for wrinkle relaxer treatments. 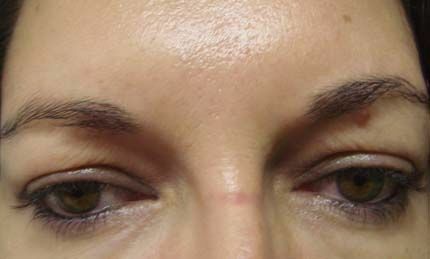 Bruising occurs in 1% of injections and a temporary headache may also occur which is not related to the product but rather the injection process. Side effects do not often occur and if they do are mild. 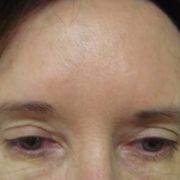 The effects of the treatment are subtle and do not begin until 3 to 10 days after treatment. They are maximal at 2 to 6 weeks. They similarly resolve gradually over time. 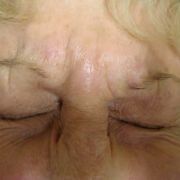 Many wrinkles will be removed completely whilst deep lines will fade. 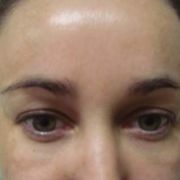 The final result is a refreshed, youthful appearance. Careful placement of the product prevents the expressionless look that the media often associates with wrinkle relaxer therapy. Other possible side effects are generally related to the diffusion of the product into adjacent muscle groups. This seldom happens and, should it occur, only lasts a few weeks before completely resolving. 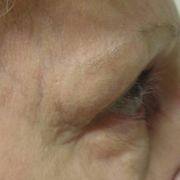 Patients also worry about the “droop” or ptosis that can occasionally be seen in some treatments. 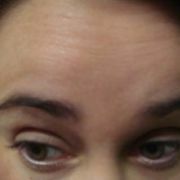 This is the result of the forehead muscle being unable to perform its normal lifting function. 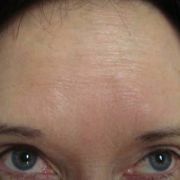 It’s this lifting that causes the horizontal lines of the forehead that wrinkle relaxers are trying to treat. 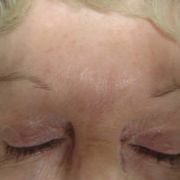 In some patients who have loose eyelids, or forehead skin, treatment of this area can make the brow line appear lower. This creates the appearance of “droop”. Sometime its is predictable and preventable, but not always. 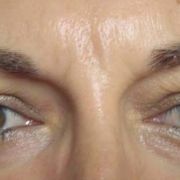 This is why it is important to choose a skilled and experienced injector who understands the anatomy of the area well. They will discuss the risks before the treatment based upon the individual’s natural condition of the area. If a droop does occur it will resolve but an experienced injector will be able to discuss other options to treat the area in the future. 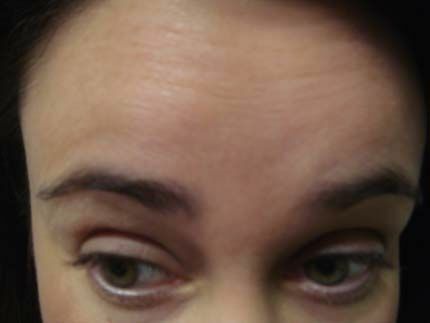 It is important for all those considering having forehead area treatments to realize that wrinkle relaxers are not brow lifters, they do the opposite. 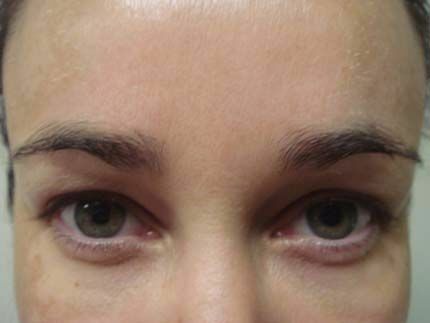 It is the skill of the injector that may be able to get a lift of the brow but it will only be a few millimeters. 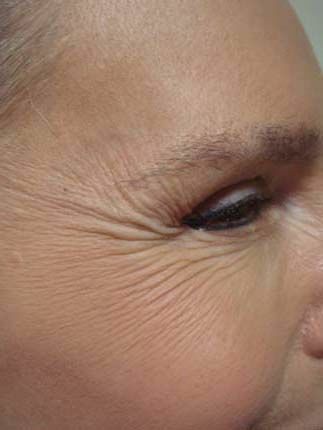 Wrinkle relaxer patients should also know that every treatment is different even when it is the same product, the same injector and even the same sites being injected. This is because the skin’s structure is constantly changing every day, as it is being broken down and renewed. Since wrinkle relaxers are a liquid and require dispersion under the skin to work each treatment can vary in effectiveness. If this is of concern, then we recommend choosing a clinic that has an option for a complimentary review and top up 2 weeks after treatment. Not all clinics do this as it is at the cost of the clinics time and product. 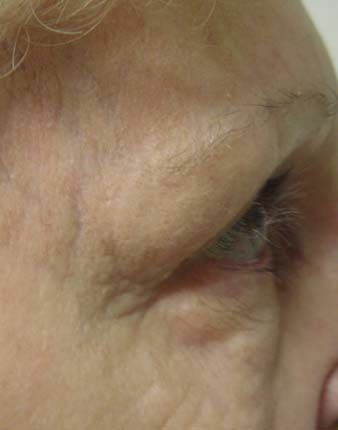 Some controversy has arisen as to whether wrinkle relaxer therapy can cause wrinkles in adjacent muscles that are not treated. 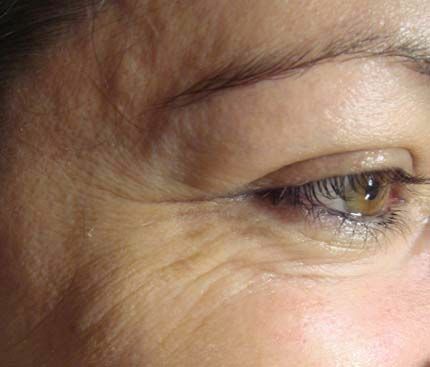 In truth, if treated muscle groups are relatively strong in their movement they can recruit some fibres from adjacent muscles, which will cause a wrinkle if the skin is loose. This however, is easily corrected by giving more product to these muscles. This is why the treating doctor often likes to review patients two weeks after initial treatment to ensure the best possible result for that patient. Remember all patients are unique in their facial marking and movements and every treatment should be tailored to that individual. 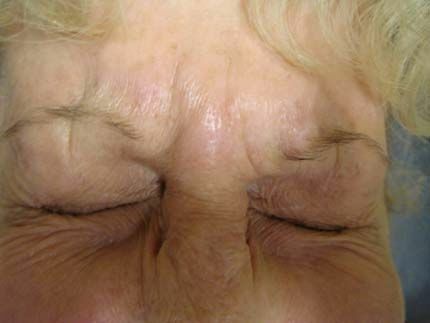 It must also be remembered that wrinkle relaxer therapy prevents wrinkles that occur in the natural ageing process. Thus cessation of treatment will simply allow the ageing process to continue from that point on i.e. 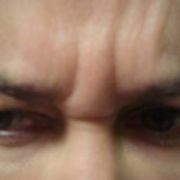 it will not create new wrinkles. There is also a risk of the body creating antibodies against the product. This occurs in 2 to 5% of people treated and will result in the treatments no longer working. (We personally think this would be the worst side-effect!!). 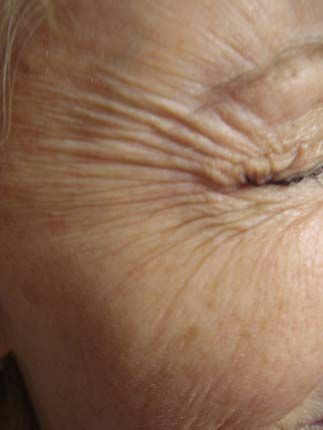 For those worried about antibody formation , or those who intend to have years of wrinkle relaxer therapy, the latest scientific evolution has a new form of wrinkle relaxer that can reduce this antibody risk. ARGERA stocks this product. Just simply enquire during your next visit. How long will the results last with wrinkle relaxers? 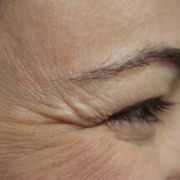 Wrinkle relaxer therapy works by preventing the muscle from receiving the signal from the nerve telling it to tense. It is this tensing that forms creases in the overlying skin. 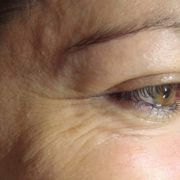 Over time these creases become permanent and a wrinkle has formed. The ability of the product to prevent the nerve signal is only temporary as the body creates new pathways for this nerve signal to follow to reach the muscle. Initially for most people the effect lasts 3 to 6months. Over time with regular treatments the muscles often learn to accept the weakened state and treatments last longer. For new patients with strong muscle we recommend that they aim for treatments regularly 3 to 4 months apart for the first year. At this point many patients can last longer. Please note that this this is based upon the use of recommended and tailored doses to achieve maximal effects. 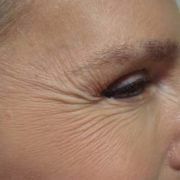 Wrinkle relaxers need to be tailored to the individual, and that is where skill and experience are needed. 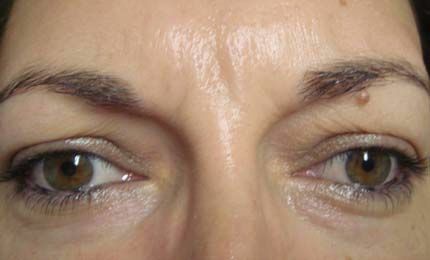 Many injectors are taught a basic technique and do not understand the anatomy of the face well enough to adapt it to the individual’s unique features. 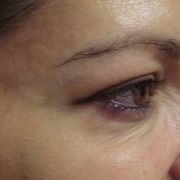 The result is often an inadequate treatment, odd appearance or a stark look. 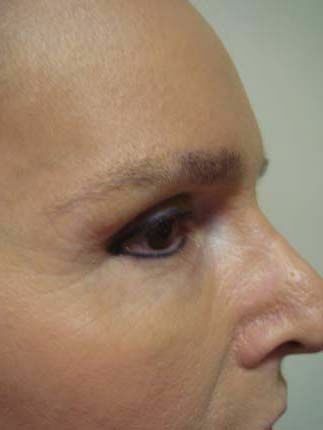 As every patient’s features are different, a good injector must know various techniques and be able to alter anything that the patient needs adjusting in their next treatment. Good patient records should be kept. ARGERA focuses on tailoring its treatment to each patient. What's the cost of a wrinke treatment? Wrinkle relaxer products are made from highly purified products that are screened for disease and monitored for quality. Professionals who are adequately qualified and experienced should only inject it. 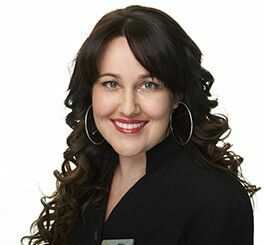 In Australia, before a patient can have an injection of a Schedule 4 substance (including wrinkle relaxers and fillers) with a nurse, they must first have a consultation with a doctor who assesses the patient for suitability and discusses all the side effects and risks of the treatment. To not do so is illegal and dangerous. Beauticians and hairdressers are not allowed to inject these medical substances. The cost of wrinkle relaxers reflects the high standards of production and care in which it is given. 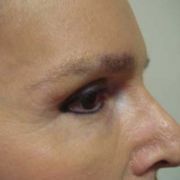 The product is however surprisingly inexpensive for a cosmetic procedure and as such has become even more popular. Its price varies from clinic to clinic, often being dependent upon how much is used. Some clinics charge per area treated, while others charge per unit used which can work out more expensive if the muscle is particularly strong, as often seen in men. At ARGERA the cost ranges from$2.56 to $18.25 per unit depending upon the product used, the dosage, the number of areas treated and whether a doctor or nurse treats. Beware of ridiculously low priced treatments, which may reflect inadequate doses, lack of training and even non-registered, unsafe overseas products being used. All of which ultimately costs the patients more as the results resolve quickly and puts their health at risk. Ridiculously cheap treatments always come at a greater price! What areas can I treat with wrinke relaxers? 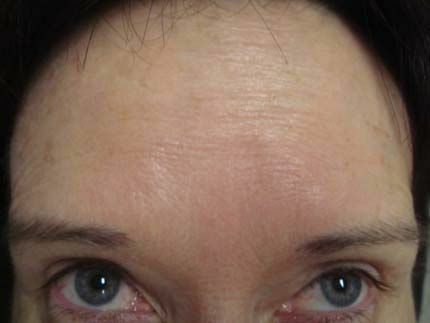 Wrinkle relaxer therapy can be used in a vast range of areas, including frown lines between the eyes, horizontal lines of the forehead, crows feet around the eyes, bulging lower eyelids, to help correct “turkey neck’, smokers lines, bunny lines on the sides of the nose, turned down corners of mouth, for a chemical brow lift and décolletage lines between the breasts. 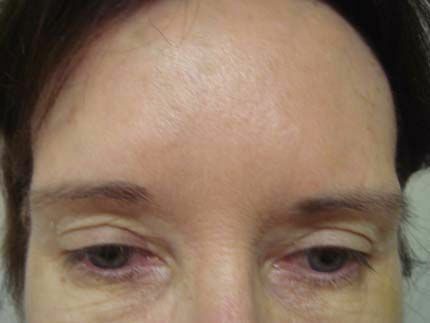 They can also reduce dimpling of the chin area and thin a rounded face (popular in Asian patients). In fact the entire lower face can be restructured for a more defined look in the “Nefertiti Lift”, named after the Egyptian Queen whose face has become synonymous with beauty. It has also been used to treat tension headaches and excessive sweating under the arms and palms of hands. 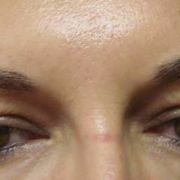 Our doctor has extensive experience in all of these advanced areas and is a trainer for other doctors using wrinkle relaxers. 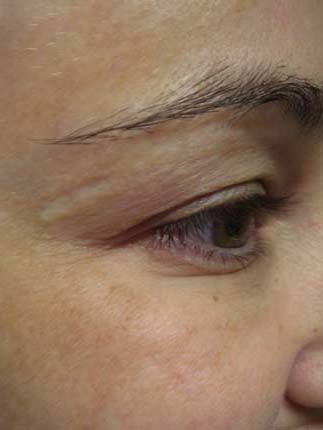 Both men and women can benefit from wrinkle relaxer therapy. 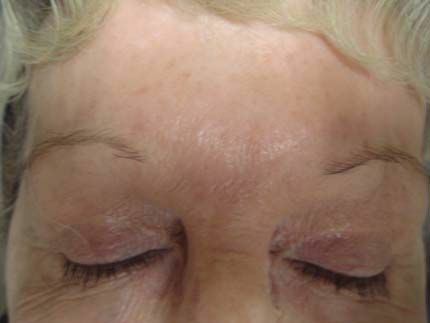 Without a doubt, ARGERA offers the best value wrinkle relaxer treatments in Perth. At our clinic it can be purchased by the unit without a free top up, or by the area with a free top 2 weeks later if needed. A patient is also given the choice of a doctor or nurse treatment, not simply put with the nurse. On this subject, our nurse injectors undergo extensive additional training where they must learn their anatomy before they are able to inject and then have months of supervised training. They also have regular quality assurance checks by our doctor. 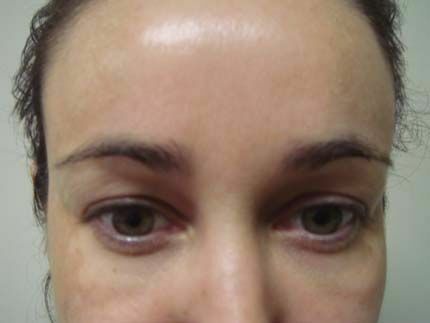 Dr Argie is recognized as an advanced injector throughout Australia and internationally, and is a trainer for wrinkle relaxers. She is always available for review in case of side effects and knows the best way to treat them if they occur. 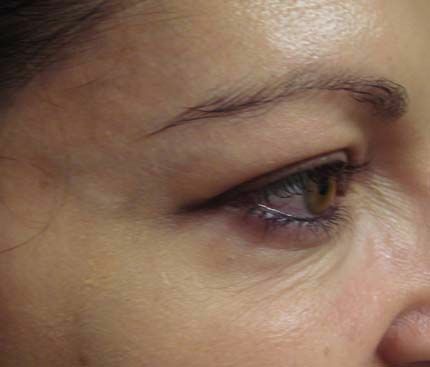 ARGERA focuses on tailoring every patient’s treatment to their personal facial features and desired result whilst obtaining a natural, refreshed look rather than a stark, stunned appearance. Our doctor personally feels that wrinkle relaxer therapy is a fantastic treatment for the ageing complexion and a great preventer for women in their early 30’s when skin begins the ageing process. Want to save 30% on wrinkler relaxers?